Kimberly region in North of Western Australia is still to be discovered by mass tourism. But for now people can enjoy emptiness of this area with so many things to see. 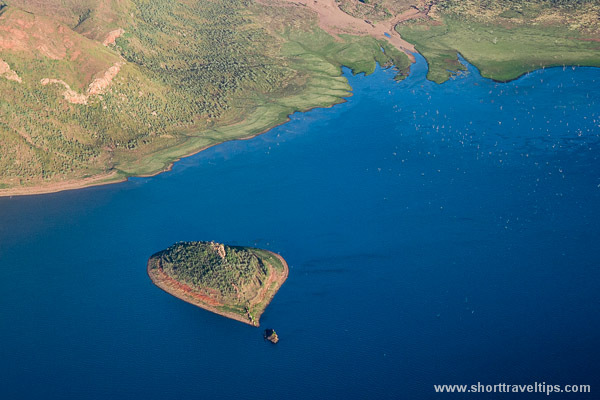 This photo was take during my flight over Lake Argyle from Kununurra to famous Bungle Bungle. There are a lot of islands in the lake, but this heart shaped island was most beautiful from above and Valentine’s Day I think the best day to post it. Happy Valentine’s Day!